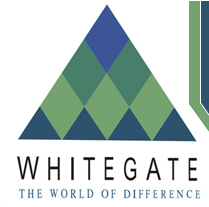 The vision sets out to create ‘The World Of Difference.’ The Whitegate mountain landscape displays a stunning environmental quality that creates a lasting image of St. Kitts. ‘The World Of Difference’ begins to be revealed west of Molineaux to become fully self evident at Belle Vue with outcrops of majestic volcanic rocks. It is announced by the two entry ghauts at Harris and Saddlers. It ‘enfolds’ the villages of Saddlers, Harris, Belle Vue, Dieppe Bay, Parsons, St. Pauls and Newton Ground. It is centered by Dieppe Bay’s natural coral protected harbor with sandy bay to its east. It is ‘endowed’ by a superb sequence of Sugar Heritage sites between the island main road and the coast including Caines, Whitegate, Willetts, Brothersons, Cranstouns Estates. Equally powerfully, on the interior slopes are Little Estridge, Harris, Lavington, Lynches, Pogson, Parsons, Porfit, Clifton. Mount Pleasant, Belmont and Fahies Esates. All of this lies in front of the magnificent North West range of Mount Liamuiga. 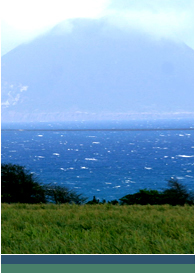 To complete the total distinction are the forground panoramic views of St. Eustatius, Saba, St. Bartholemy, St. Maarten/St. Martin and Anguilla.